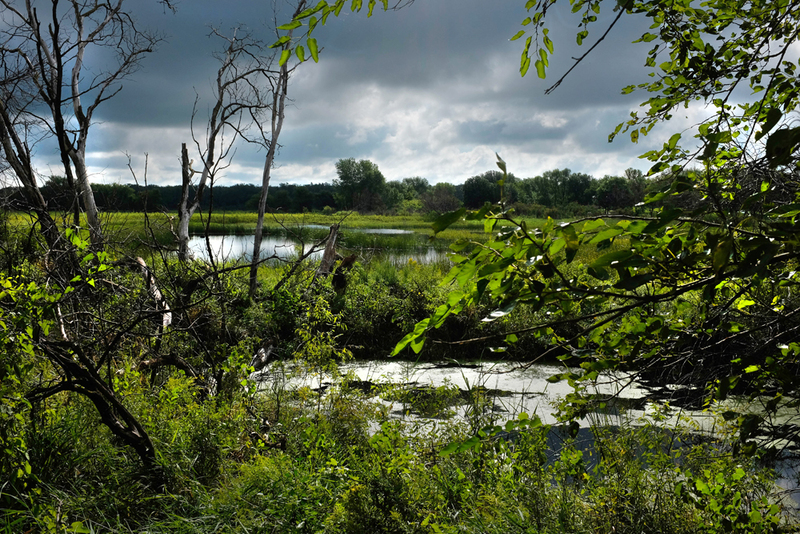 Visitors flock to DeSoto National Wildlife Refuge during the fall and spring bird migration seasons, but the sanctuary just across the river from Blair on Highway 30 is an enjoyable getaway any time of year. When I am looking for a feature photo and I can’t find one any where else, I can generally always find an interesting scene at DeSoto NWR. I also visit the refuge regularly to photograph student activities. 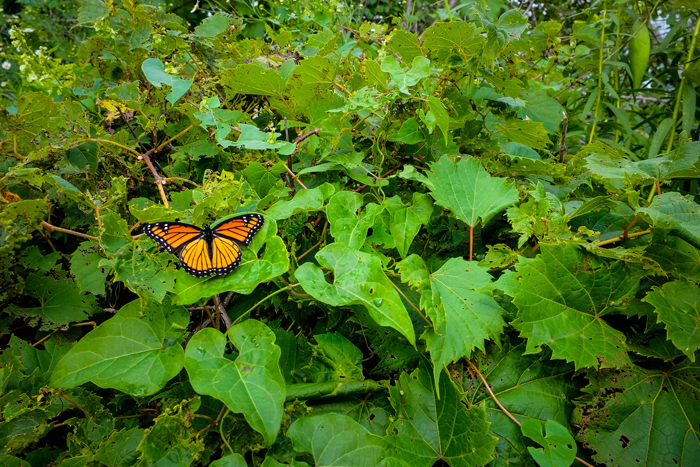 The Blair Community Schools and DeSoto NWR Outdoor Classroom Partnership provides students with opportunities to take part in hand-on activities that are coordinated with the school curriculum in science and language arts. 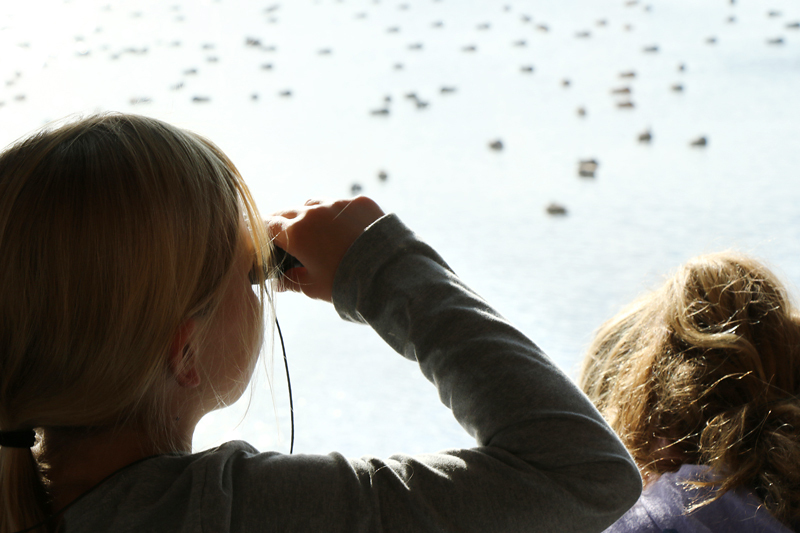 Leah Wehrli with binoculars and Layla Cromwell observe and write about the geese and ducks they observe on DeSoto Lake in November. 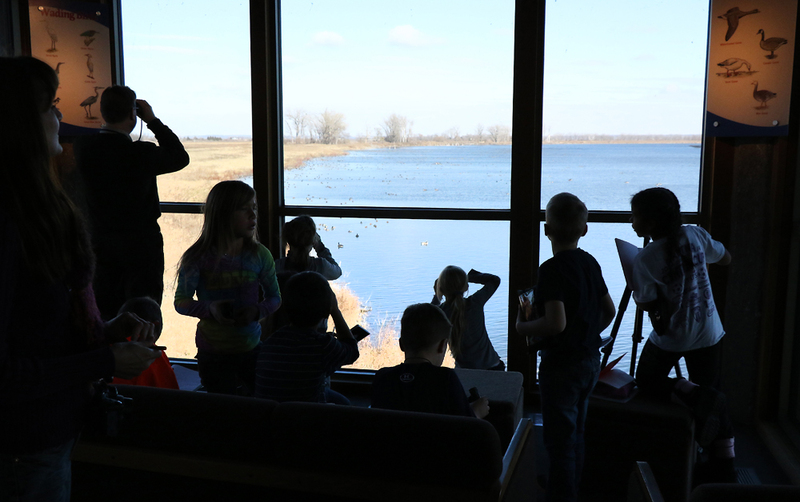 During a November field trip, South Third grade student observe ducks and geese from the windows in the DeSoto Bend Visitor’s Center that overlook DeSoto Lake. 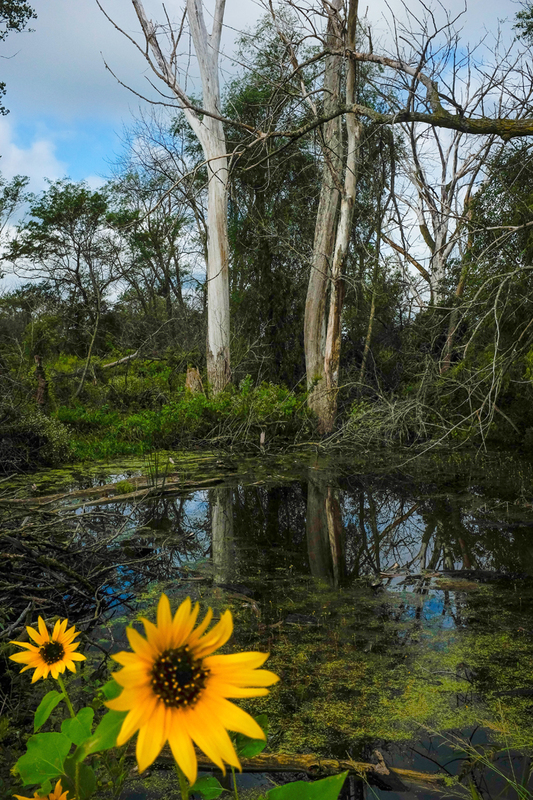 Sunflowers on the edge of a wetland pond at DeSoto NWR in early September. 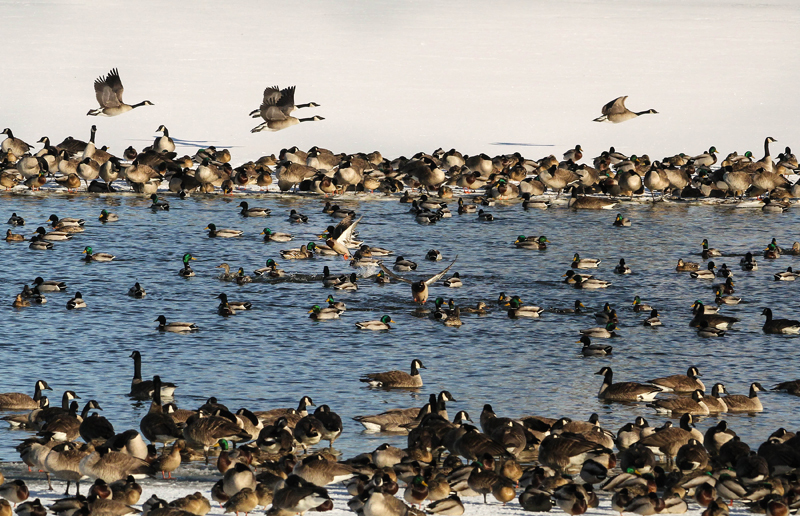 Geese flock to open water on DeSoto lake during a February thaw.